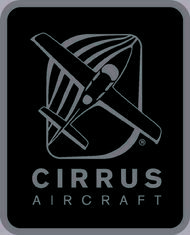 Fly our Cirrus SR-20 Perspective, Cirrus SR22 Avidyne airplane, our Cessna 150 or Cessna 172. New to flying? Call 207-664-6000 or email to talk to one of our Flight Instructors or try one of our "Discover Flying Experiences" flights. Click here for more information. .
Start or complete your flight training under Maine Coastal Flight's Flight School program. We can successfully provide you with the training you need with our Professional Flight and Ground School Instructors. Cirrus & Instrument $65 per hour, 1/2 day $260, full day $520. Private, Sport, and Recreational Pilot Ground School - $220, plus $100 for Books. Please call to schedule and ask about available dates. Providing Initial, recurrent and transition training in our aircraft or yours. We can arrange purchase, pilot services, and aircraft management services. Call for questions and see what our professional staff can do for you.